What type of JCC activities interest you most? Do you have children at home? What kind of activities would you like them to be involved in? 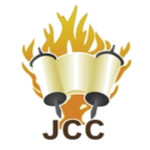 The JCC rabbis are available to meet with you or any member of your family. Would you like to meet with one of our rabbis? Do you have a mezuzah on the door of your home? No, please contact me about getting a mezuzah for my home. Yes, I have a mezuzah and I would like someone to come and check it. Would you be interested in volunteering at JCC events? Do you have a parent or elderly relative in this or any other community who would welcome a visit or regular visits from someone in the community? Would you like to volunteer to visit someone in need of friendship in the community?